← Be a Survivor!! Continue to live your life!! Seven years have past. It was cancer they said. Frightened I was but was determined to fight. As heavy the load, it would get heavier still. It’s as if I’m a dead man walking. Now I’m a dead man. 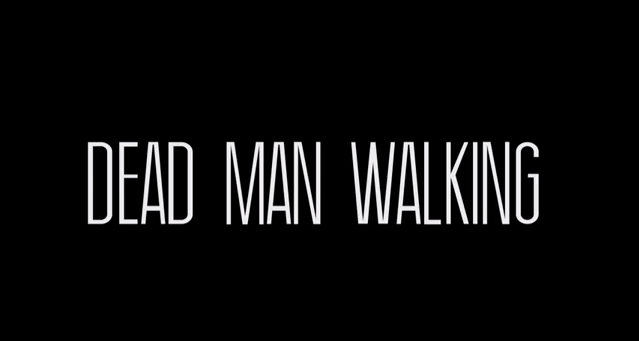 Dead man, walking. The cancer was melanoma. It was deep and had spread. The sentinel lymph nodes were positive. The grief was great. Dead man walking. I think I’m getting better. My strength seems to return. Work hard on a new nursery. My first grandchild was on the way. Then cancer strikes again. No warning it gave. The fight must go on! I take a trip. Much needed vacation. But can’t walk without resting. Short of breath and there’s pressure on my chest. What can it be? Dean man walking. Fail a stress test. Get a cath. A stent is placed and the artery opened. Will it last? The answer comes. Six months past. The heart give out. Another cath. Back in I go. Three more stents and hope I’m given. Please help me through it. Dead man walking. Things go better. But pain persists. My spine hurts so bad I cry out for help. The epidural does help. I feel so much better. A trip to Kentucky seems to go fine. But by summer’s end, I’m sick once more. One after another – it’s pneumonia, sleep apnea and then emboli too. Oh, how it hurts! My mind and body too! Hope is eternal but not for me. In the hospital I go. Thirty days I must stay. Can’t walk, can’t do ADLS. Pride is gone too. The pain is unbearable. The stress is too. Oh what can I do? Months of therapy. All kinds I endure. But little helps. The pain wins out. I go seek advice. It’s the Wizards at Mayo I seek. Perhaps they will help me. Let’s fight the darkness. But I must weep. The wizards confirm my diagnoses and more. They present me with a treatment plan galore. It includes a poison, chemo of sorts. They say it’s guaranteed to help my immune system do its work. I go home and suffer but better I’m not. So much more left for me to do. I must not give up! I hurt so bad. I refuse to give in. The medicines I take only fog the world I’m in. I work to eliminate as many as I can. But I don’t get better. The pain is winning. Dead man walking. My heart starts to fail one more time. So slow it gets. Less than 40 beats a minute. And syncope to boot. My doctors tell me to not despair. It’s a pacemaker I need. I will survive! My pain gets worse. My balance too. I return to Mayo with hope anew. Again they listen. They work their magic. And suggest that IVIG is the ticket to health. I return home enthused. And once again a new treatment begins. All goes well but then disaster strikes me again. A clot forms in my widowmaker and my ticker is sprung. The ambulance comes. To the hospital I go! Straight to the cath lab! This man is critical! But we will fix him once more. The damage looks small. But looks can be deceiving. Three short months later, a clot forms again. This time in my eye. And it removes vision. A retinal occlusion it’s called. No treatment they say. Not a thing will fix it. But, the IVIG must stop. It must be causing the clots. The pain is still there. It never will end. I exercise as I can. I watch what I eat. But fatigue, it gets worse and weight starts to gain. Is it something anew? Or the old once again? Another clot in my eye. More vision is lost. The wizard of retinas offers no aid or hope. Then the heart seems to fail and to the hospital I come. Is it more clots? Or has other damage been done? The test shows heart failure. Moderate to severe they say. Let’s add more medicine. And change your lifestyle too! Cure it we can’t but listen you must. For if you want to live your life amid the miseries you keep – you must do as you’re told and speak not a peep. This entry was posted in Uncategorized and tagged cancer blog, coping with chronic pain, dead man walking, heart disease, stage IV melanoma. Bookmark the permalink. Wow, that was heart wrenching. I knew you were sicker than me but didn’t know exactly what you had to really deal with. I for sure won’t complain much now, reading this makes me realize I have it pretty damn good right now. Thanks for opening my eyes. Thanks for reading it and your comments. I just needed an outlet. I keep overcoming one thing after another but they keep on coming. But I won’t let it get me down.